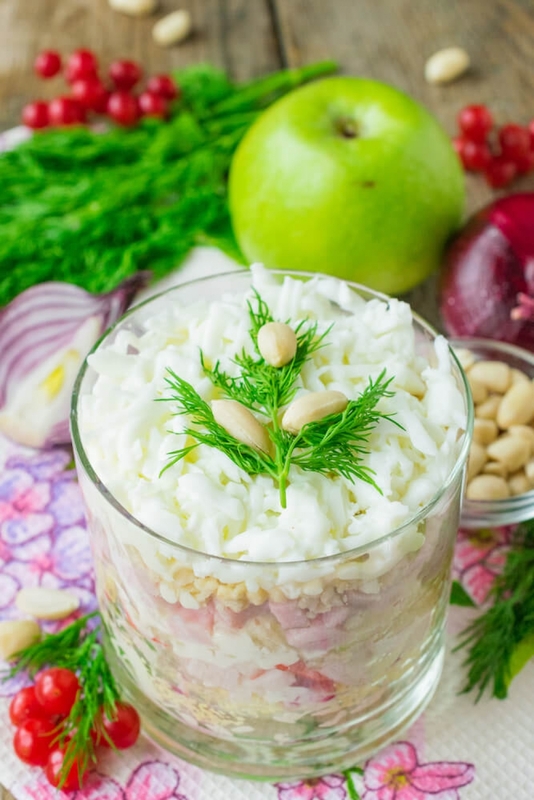 Gentle puff salad «Snow Queen» will pleasantly surprise you with an unusual combination of tastes. Ham, crab sticks and processed cheese are its parts. 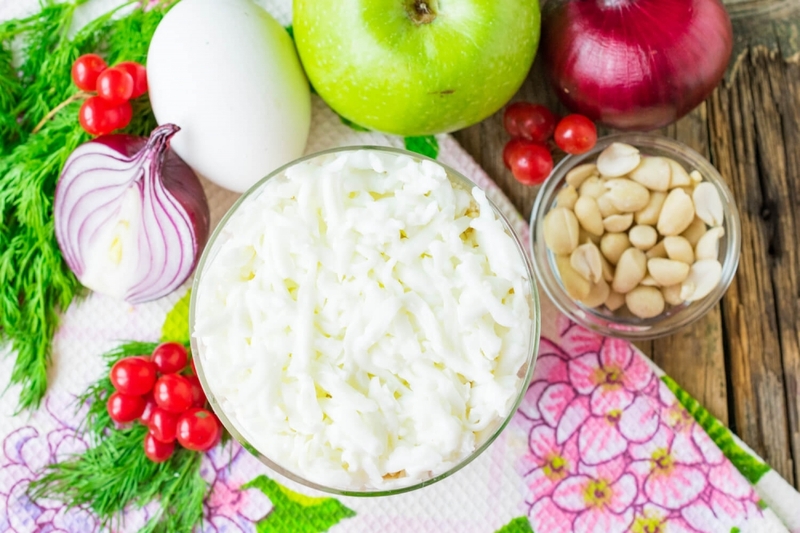 Sweet-sour apple makes salad juicier, and fried kernels of peanut give a pungent flavor to a dish. One of advantages you can call the fact that the recipe doesn’t demand a long preparatory phase for boiling ingredients. It is enough to cut all products and to lay them out in a certain sequence. For serving it is possible to use wide glasses, ice-cream bowls or soup bowls. 1. Grate processed cheese on a large grater, lay out as the first layer in a salad bowl or portion ware. Put a thin layer of mayonnaise on the top. 2. Boil hard chicken eggs, cool and shell. 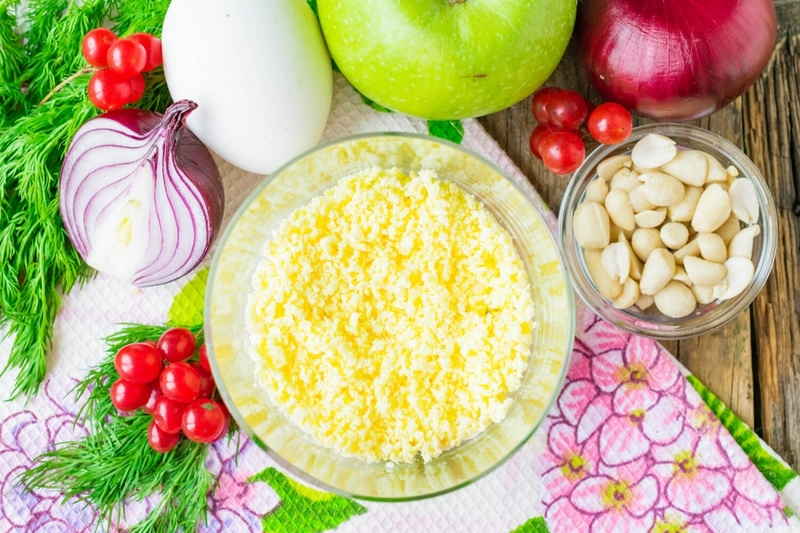 Separate yolks from egg-whites, grate and lay out over processed cheese. Grease a layer with a small amount of mayonnaise. 3. Peel red onions and cut small. 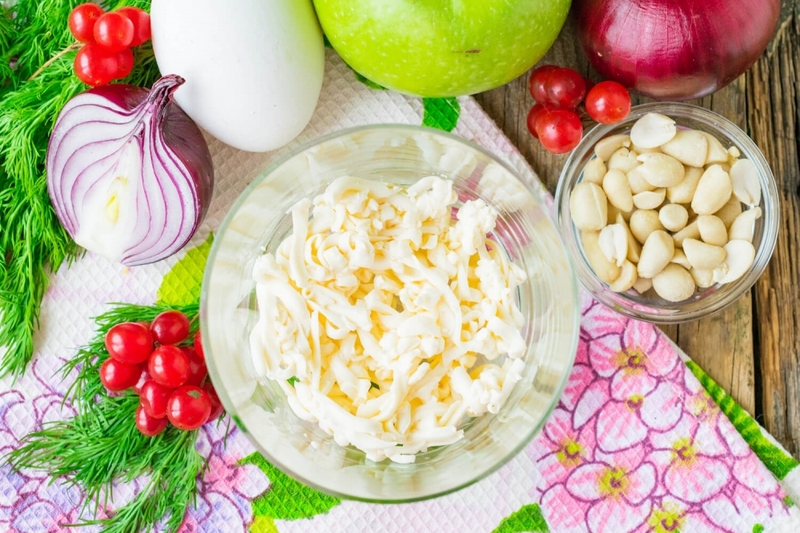 Pour into onions a marinade made from water and vinegar mixed in equal proportions. To give to onions spicy aroma, add peas of allspice and several buds of cloves. Leave onions to marinade for 15-20 minutes. 4. 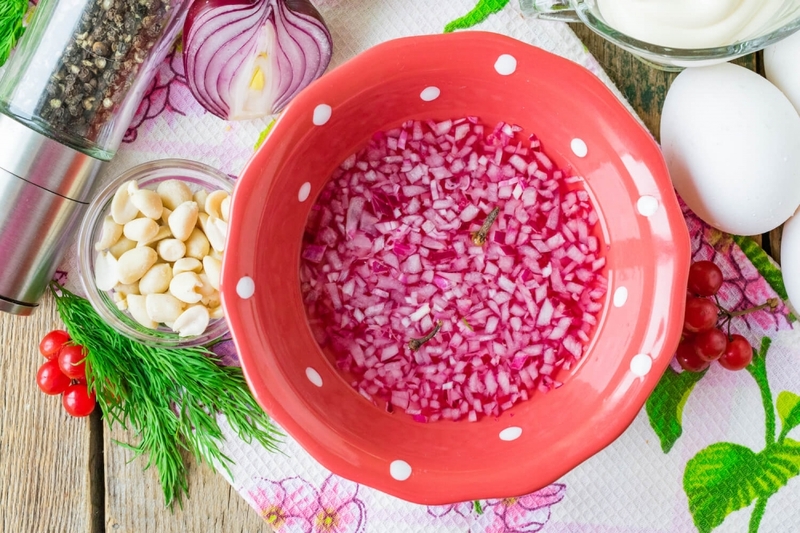 Filter red onions from marinade and lay out in a salad bowl as next layer. 5. 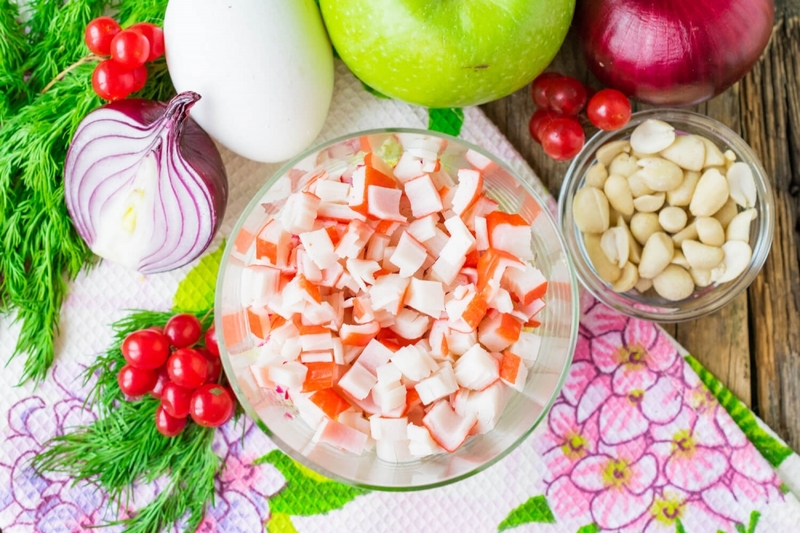 Previously defreeze crab sticks, cut small and lay out over marinated onions. Put a thin layer of mayonnaise on the top. 6. Wash the green apple, peel and remove seeds. 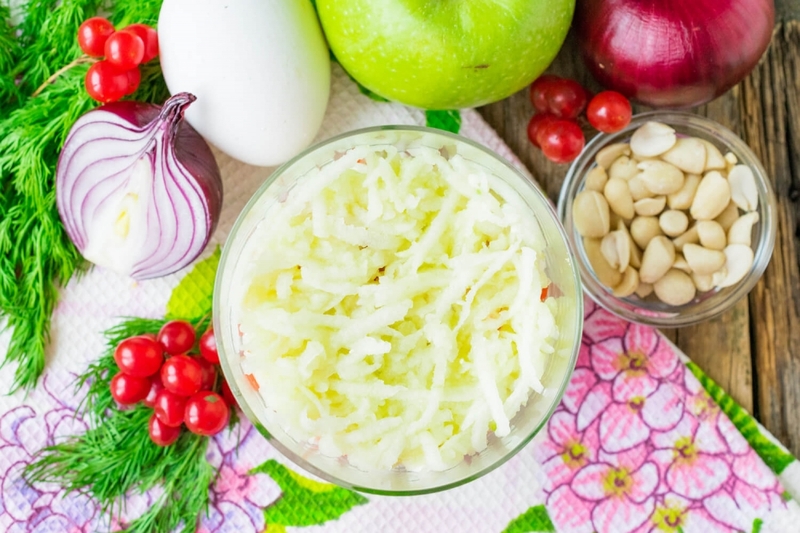 Grate apple on a large grater and lay out over crab sticks, grease with mayonnaise. 7. 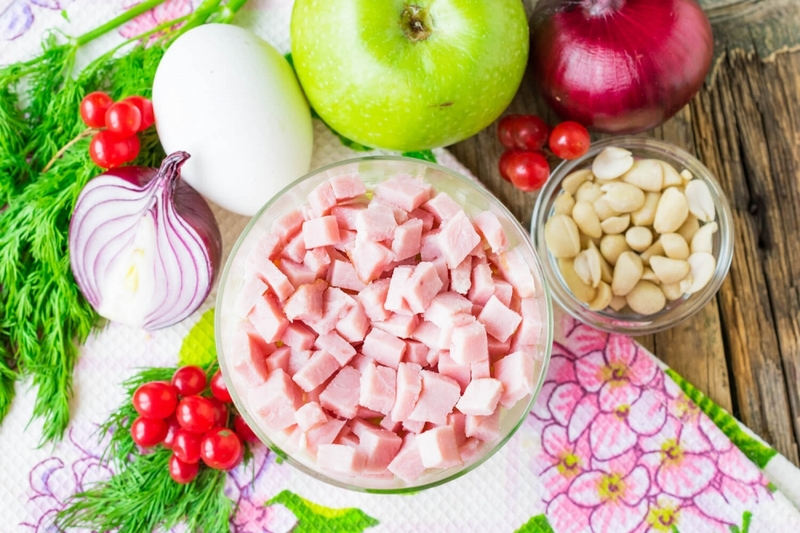 Cut ham into small cubes and lay out in a salad bowl. Put a thin layer of mayonnaise on the top. 8. 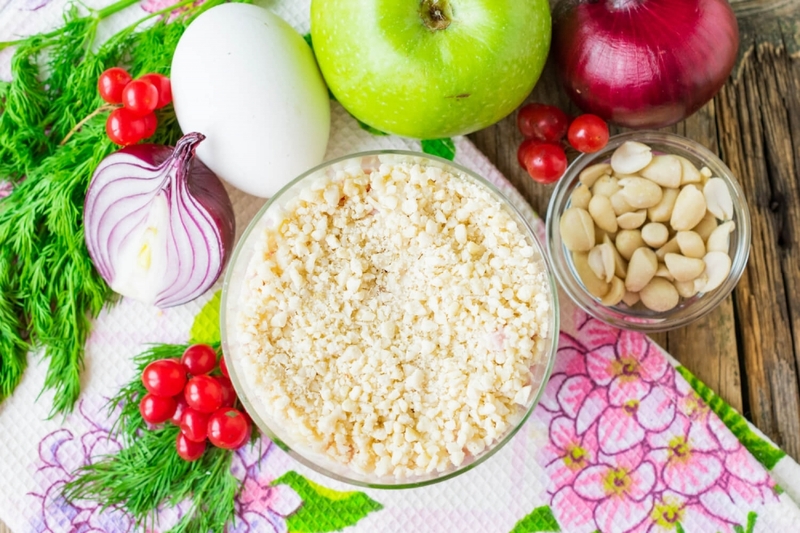 Fry the peeled peanut on a dry frying pan, crush into large crumbs with the help of blender. 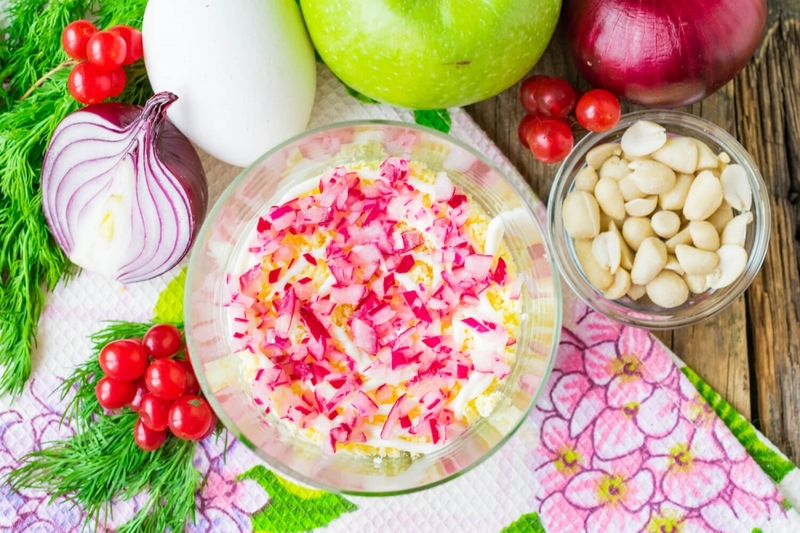 Add nuts to salad. Put a thin layer of mayonnaise on the top. 9. The last layer - grated on large grater egg whites. 10. 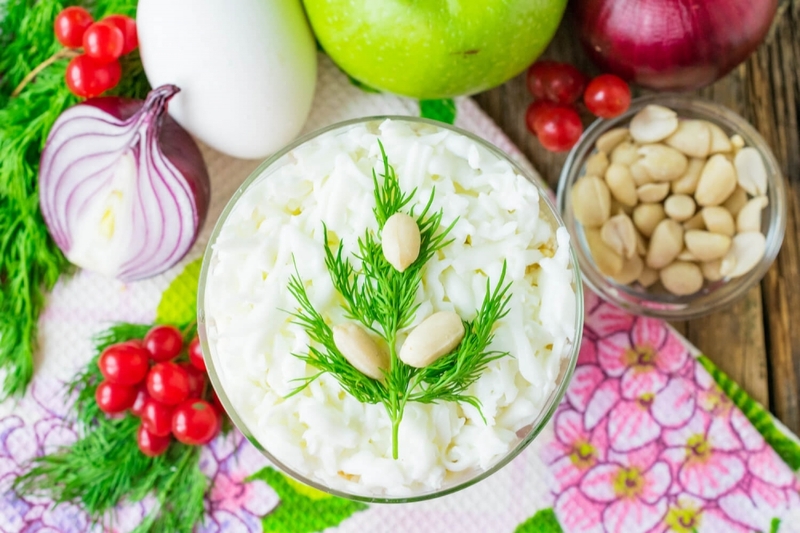 Decorate ready salad with fresh dill and kernels of peanut. 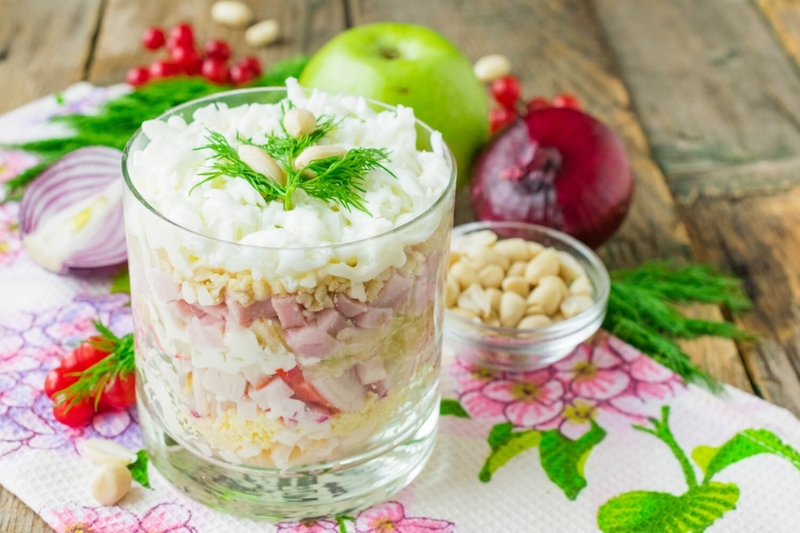 Leave «Snow Queen» salad for several hours in the fridge for becoming impregnated.